For all of us who believe in astrology, our jenma rasi is decided based on the moons placing during the time of birth. That place is used as the base factor to decide the staying of other planets within the jathakam or birth chart to predict the Kotchara Palans. Among all the planets the planet Sani stays in a rasi for a maximum period of two and a half years. There is an old saying that no other planet can benefit you like Sani and no one can give you troubles like him. Every one, idolize his movement from one rasi to other and remains curious to know about the benefits he can offer during the transition period. According to traditional Vakkiya Panchangam (Almanac), planet Sani moves from Thula rasi to Viruchiga rasi on 16.12.2014 at 02.17 PM. Let us offer our prayers to Sani Bagawan for beneficial blessings to all of us during the period with fewer sufferings. You are an active person with an eye on the future and always take efforts to make achievements in life. Sani the owner of 10th and 11th place of your rasi moves from 7th to 8th position as Ashtama Sani. You need to take decisions calmly without haste. But, don't worry. He gets the favorable look of Guru who is staying top at Kataka rasi and will not trouble you for the next six months. Also when Guru moves to 5th place he will try to help you. But the last one year will be the most crucial period and you will be under the direct spell of Sani and he will be under the influence of your rasi Nathan. He will improve your money flow and help you pay off your old loans. You will get a chance to visit your family deity. Your health may cause concern and deteriorate a little. You may have difference of opinion with your siblings related to a family property. Business will improve with the active participation of the partners but take due care when making additional investment. Your work in the office will get recognition and you will get favors from the top bosses in the form promotion and increments. Politicians though get the support of the public, will find it difficult to fulfill the given promises. Students should study with care to score good marks. The time is ripe for the artists to showcase their talent but they should remain level headed. Parihara : Perform archana to Sanibagawan on the day of Sani Peyarchi. Light a lamp at Sani bagawan sannidhi on Saturdays. You are endowed with a sense of humor and insatiable urge to come up in life. Sani the owner of 9th and 10th place of your rasi moves from 6th to 7th position as Kandaka Sani. Though it may not be a good move, still you will manage the problems with your sweet words. When he moves into Viruchiga rasi, you will also be coming under the vision of Guru resulting in reduction in money flow. When Sani remains in his own nakshtra he will benefit some with overseas trips. Try to maintain peace with your spouse by following give and take policy. Your health may deteriorate during the period, therefore get it checked with your family doctor and go for a full body checkup. Business people are advised to remain careful in their dealings with the partners and never go beyond what you can actually invest. Employed are advised to carefully plan their work. They will get good cooperation from the fellow workers and appreciation from the top management. Politicians should not yield to deceptive flattery. Students should put in more efforts and concentration to score good marks and get admission in a foreign university. Artists are advised to grab even smallest opportunities to stay floating in the market. Pariharam : : Offer betel leaves mala to hanuman on Saturdays and light a lamp at Sani bagawan sannidhi on Saturdays. You are capable of completing any job that you undertake without giving up your prestige. 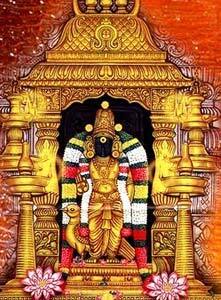 Sani, the owner of 8th and 9th place of your rasi, moves from 5th to 6th position the Chathru and roga sthanam. During the last two and half years Sani would have given you a mix of benefits and problems, but, in the coming two and half years you are bound to get good benefits. You need to exercise more restraint in what you talk and should avoid any loose talk. You must take great care of your health during the period. The closeness between the husband and wife will grow. Some of the good activities that you planned early but could not complete due to various reasons will become possible now. You will pay-off some of the existing loans and enjoy mental satisfaction. Some of you may buy a new house, land and jewels. Try to follow give and take policy with your close relatives for your own good. Business people will get bank loan to make further investment and grow. Some of you may sign an agreement with a foreign company, but exercise more care while signing such agreements. Employed will be favored by the top management and will get promotion and transfer to a place of their liking. Politicians should learn to get along with everyone in the party inorder to earn the goodwill of the top leader. Students should spend more time on studies to earn good marks. Artists will get the support from the seniors and sign new agreements. Pariharam :Offer arugumpul to Pillaiyar and perform archana on Saturdays. Offer your prayers at your family deity temple.